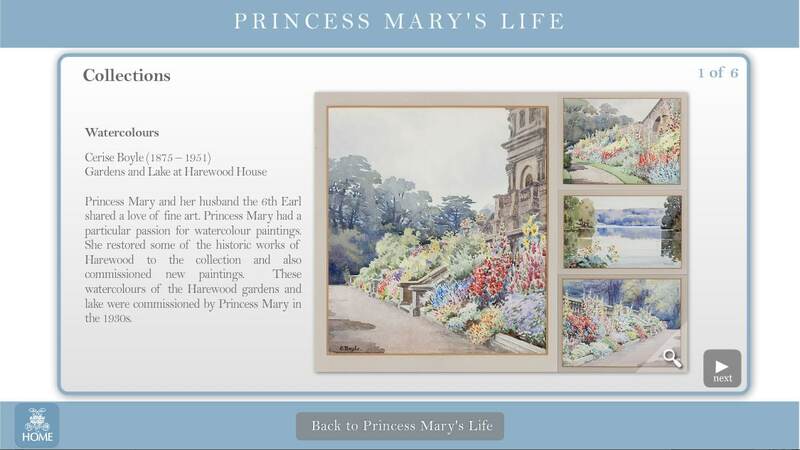 Harewood House in Yorkshire was home to Princess Mary, The Princess Royal, for four decades. 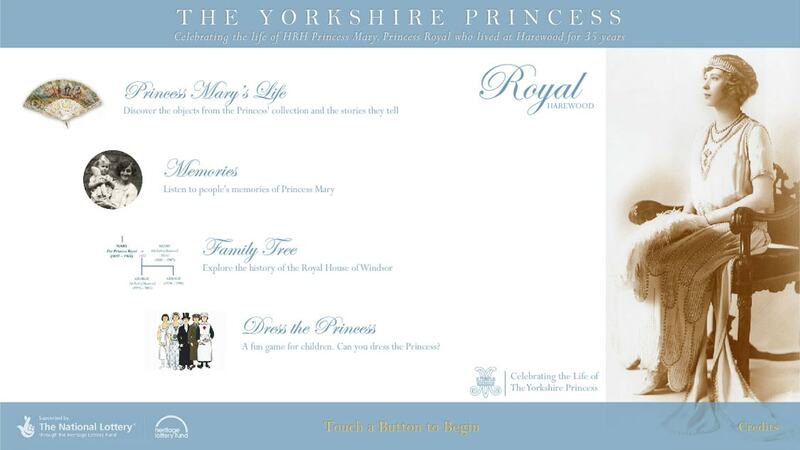 Her love of Yorkshire means she will always be remembered as ‘The Yorkshire Princess’. Harewood held a special exhibition remembering her. With the help of the Heritage Lottery Fund, Harewood was able to display for the first time many of the things that were precious and personal to her. Media Vision was commissioned to design and produce a touchscreen interactive to provide more information and interpret the many items on display. 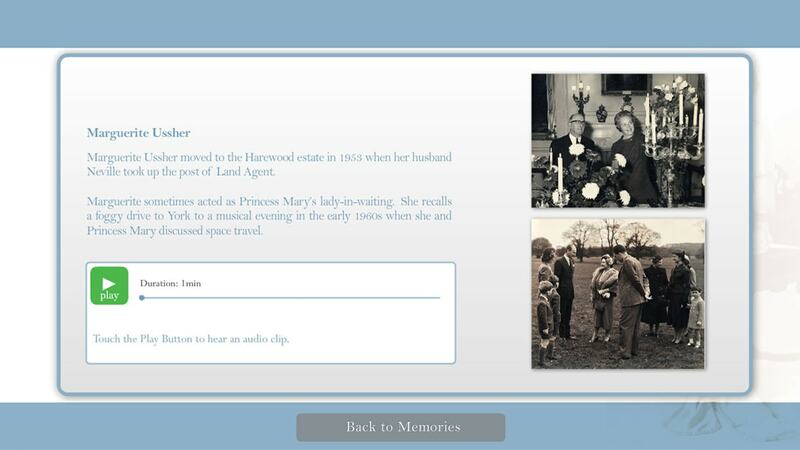 The interactive also contains a number of “oral histories” – reminiscences from those who worked for her and have fond memories of her kindness and humour. 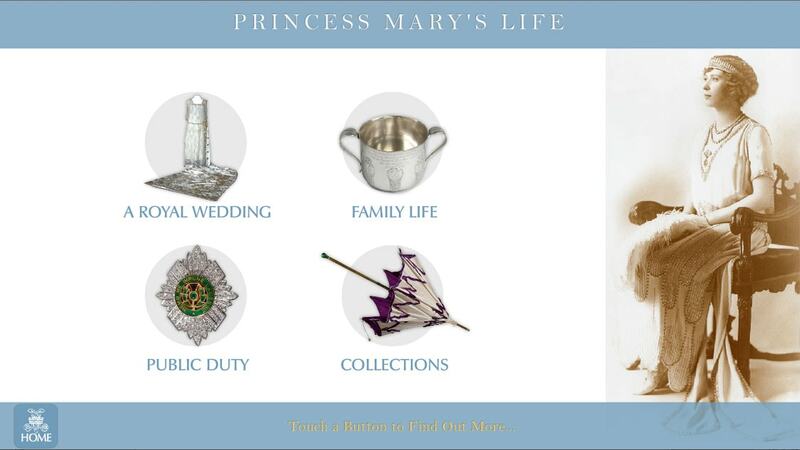 Media Vision was also commissioned to take a set of photographs of Princess Mary’s wedding dress.